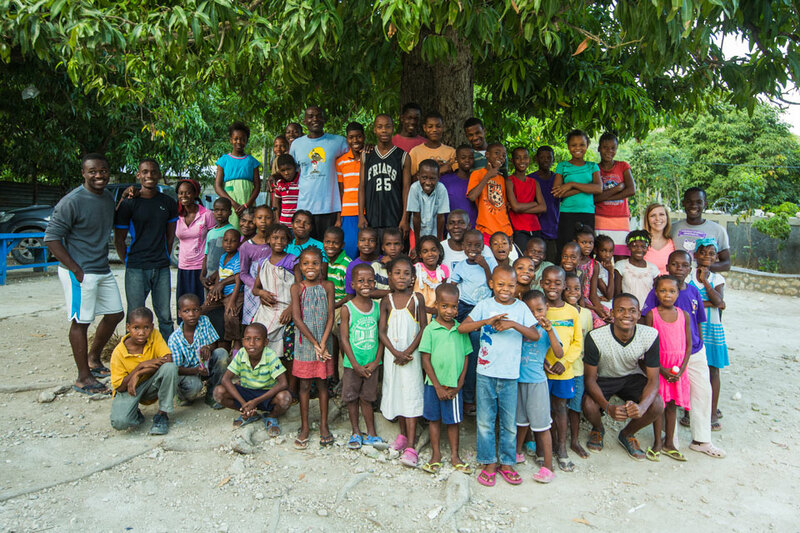 For 54 children, the Fond Blanc Orphanage is home. To most of us it doesn’t seem like an ideal place to grow up. But for these children, it is home. Within these walls they laugh and play games. They lose their teeth and they add inches to their height. They dance and celebrate with one another. They eventually learn to stop wetting the bed. They learn to cook and clean and tend to chores. They do their homework and they go to Sunday School. These walls hold stories that no one else sees. So for some, an orphanage may not seem like an ideal place to grow up. But for these children, it is home. No parent wants their children to grow up in an orphanage – even in Haiti. But every parent who has sent their child to live here sees the immense value of the orphanage in their child’s life. Here in Fond Blanc they get two hearty meals a day. Here in Fond Blanc they receive an education. Here in Fond Blanc they learn responsibility, character, and valuable life lessons. Here in Fond Blanc they are promised a future and a second chance. The children that find themselves here in Fond Blanc come from a variety of backgrounds. Some are here because their parents could no longer afford to care for them and the orphanage is a welcomed relief, a safe place where they know that their children are cared for. Other parents see great value in education and want to give their children everything possible. In Haiti, education opens doors to a future that nothing else can. And for a select few parents, the orphanage is a second chance at life for their child. It is an opportunity to get the children off the street and on the path to learning character and good behavior. All but one of the children within these walls have at least one surviving parent. And every parent carries with them a tremendous burden for their children. Every time I have to leave to spend the day in Port-au-Prince, images flash through my head. Didi tapping on my truck window asking for a few gourdes (about 2 cents each) for food. Rilismi chasing after my car trying to jump in the bed of the truck. Woody washing my windshield in stop and go traffic hoping I’ll pay him a measly – but much needed – 5 gourdes to bring back to his family. When these things happen, I let them. I give children money, I give them rides, I let them wash my windshield even if it’s the third time in one day. I do it because I know very well that these children could be mine. Living in Fond Blanc is a life changer. It means kids don’t have to take to the streets to try and make money for their parents or beg for food they can’t find at home. It means an education and even a chance to go to University. A chance at a job. It means exposure to trades like cooking, construction, sewing and farming. It means structure and discipline and spiritual development. It means guaranteed full bellies. When I get the rare opportunity to meet the parents of these children my heart gets overwhelmed. I shake their hands, and in the moment my eyes meet theirs, I see in them the children they must leave behind. They send me home to the orphanage with coconuts and mangoes and enough love to pass on to the children they miss dearly. I don’t think I’ll ever fully understand what a mother must go through to send her child to live far away from her, and I hope I never have to. 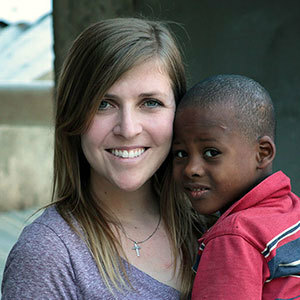 Evna lives here and serves as a “mommy” on our orphanage staff. She has two biological children who live here at the orphanage but she cares for all 54 as if they were her own. Last summer, she left abruptly to care for a family matter back in Port-au-Prince leaving behind Givinchy and Lovensky. We didn’t think she would ever return but she did six months later. Take comfort and never doubt that these children are absolutely loved. It is a love that looks much different than anything we are familiar with or expect here at home. But it is a love that runs strong. I’m certain no mother chooses this life for their children. But it is a life their child is absolutely blessed to be living.